Snowdonia is renowned for it's stunning beaches, tumbling rivers and beautiful mountains. The toughest part of choosing what to do during your stay is deciding which of the wide range of things to fit in. We've provided information on a selection of the most popular and our favourites. North Wales is renowned for it's beautiful walking routes. 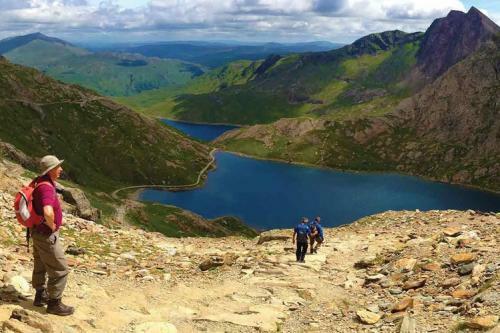 Discover the soaring mountains of Snowdonia, the scenic countryside of the North East Wales borderlands and Anglesey or coastal walks which wrap around the whole area, from Barmouth in the west to Flintshire in the North East. 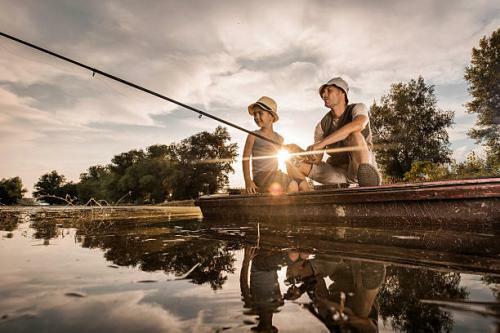 Whether you tackle a lake, reservoir or head to the coast, North Wales has a plethora of exciting fishing destinations, all set in stunning scenery. From Game Fishing, Fly Fishing, Sea Fishing, Boat Fishing or Coarse Fishing there is something for every angler. 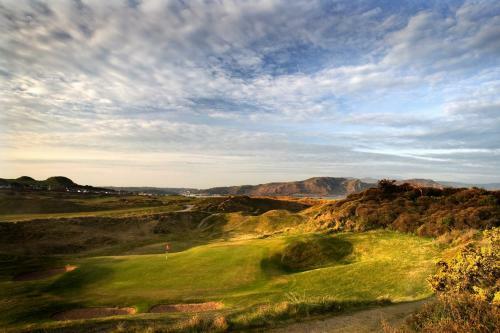 North Wales has over sixty courses set in the most awe-inspiring landscapes, offering the best value green fees in Europe and courses to suit all standards of golfing ability. Gwern Borter Manor is well placed to take advantage of the championship links courses of Conwy, Royal St David's and Nefyn. These are just a handful of the golf courses in North Wales. 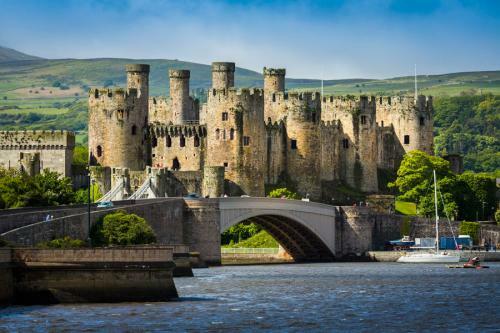 From the foreboding castle to the picturesque quay and the small winding streets that link them, Conwy is a real treasure. A town with a story to tell, it's brimming with unique little boutiques and eateries. Be sure to walk the walls of Conwy to get a real feel for this rustic charmer of a town. 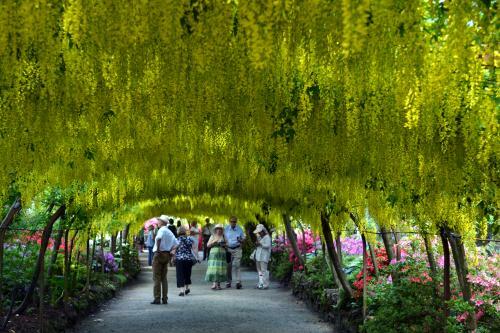 A stunning National Trust garden with 80 acres of beautiful lawns, meadows, water gardens, and towering trees, with ever changing scenery all through the year. Snowdonia is concentrated around mountains and glacial land-forms. The park's historic Snowdon Mountain Railway climbs to the summit of Wales's highest mountain offering views across the sea to Ireland and back along the North Wales coast. 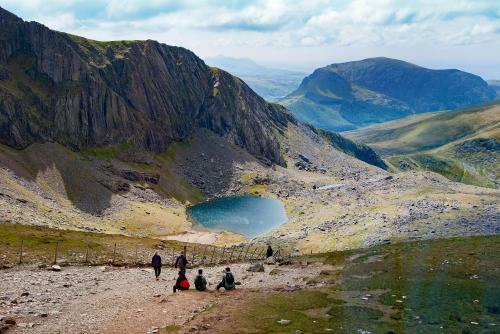 The Park also has an extensive network of trails, over one hundred lakes and craggy peaks such as Cader Idris and Tryfan. Portmeiron is a little slice of magic. 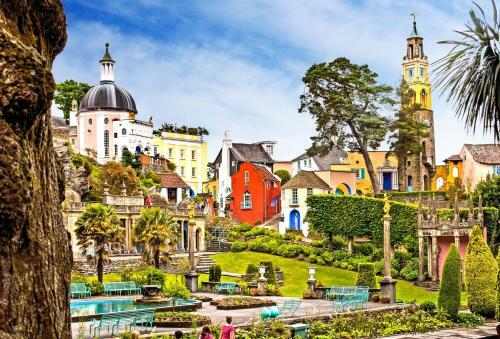 The popular tourist village in Gwynedd, North Wales was designed and built by Sir Clough Williams-Ellis between 1925 and 1975 in the style of an Italian village, pickled with brightly coloured houses and pretty streets it certainly wouldn't be out of place on the Italian Riviera. Today, the handsome village is owned by a charitable trust. 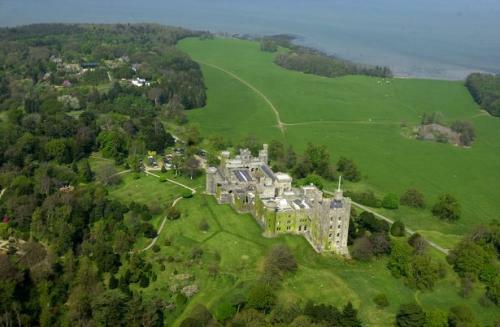 Penrhyn Castle was built in 1820. Learn about some of the gloriously restored rooms you can see on a visit to the spcial place, including the extravagant Library, immaculate Slate Bedroom and the strikingly styled Ebony Room. 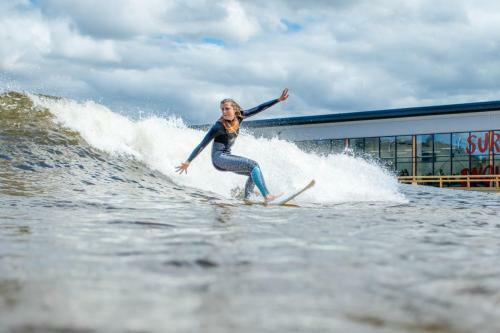 Visit the world's first inland surf lagoon, where you'll be guaranteed a surf break. With technology offering varieties of waves to ride, suitable for all levels and is family friendly. 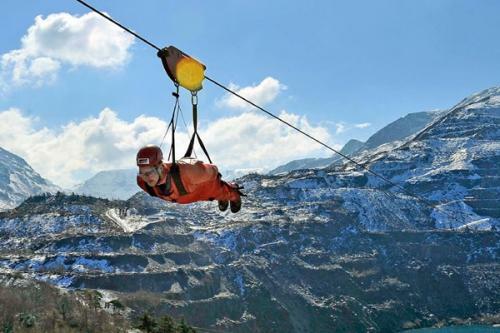 Zip World won international acclaim when it opened at Penrhyn Quarry, Bethesda in March 2013. It offers the world's largest zip line course providing riders with the closest experience to skydiving without actually leaping out of a plane.